Tuesday we talked about the Texas method in general. Today, we’ll discuss the details and list some reasons why this method is great, as well as what we think its main drawbacks are. We have also included a sample workout routine for the week, so let’s see what the Texas method is really about. 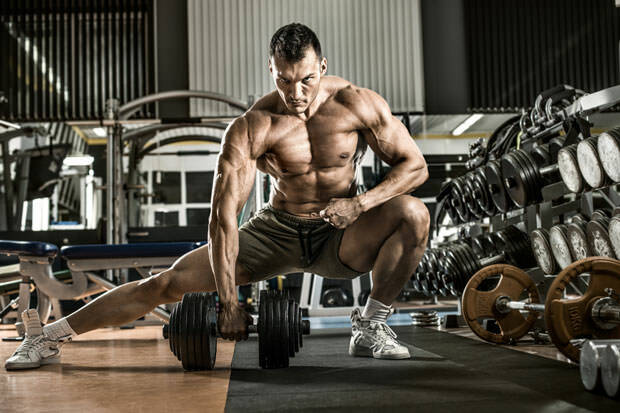 The programming behind this method couldn’t be simpler and more effective. The difference between the Texas method and other advanced programs, which have you spending a few weeks accumulating volume, a few weeks recovering, and then a few weeks setting new PRs, is that the Texas method squeezes all of this into a single week. That being said, you could say that each training is a full mesocycle and each training session represents a distinct microcycle: Monday – volume; Wednesday – recovery; Friday – intensity. The variation in volume from workout to workout is perfect for all trainees who have just confidently reached the intermediate level. However, it’s not necessary for them to introduce variations from week to week at the very beginning. After some time has passed, it will be, but definitely not in the early stages of the intermediate training. The biggest downside of the Texas method is its ‘specificity,’ if we can call it like that. As far as we are concerned, power cleans are nothing more than a silly addition to a powerlifting program. Doing three times more power clean volume than deadlift volume doesn’t really make sense, especially not in a sport where the rate of force production isn’t that important. The point is that you can lift as slowly as you want – the only thing that matters is that you actually complete the lift. Moreover, the 1:1 overhead press to bench ratio is one of the worst ideas to date for an aspiring powerlifter. Beyond those issues (all of which are typical of all Rippetoe programs), it is apparent that this program features 20 “pulling” reps per week (15 on the power clean and 5 on the deadlift), but also packs 40 squats per week, resulting in an 8:1 squat to deadlift ratio in terms of reps. None of this makes any sense for a competitive powerlifter since the deadlift is too important to deprioritize it like that. Additionally, with the Texas method, you will focus far more on lower-body volume than on upper-body volume, which is yet another issue common to Rippetoean programming. The upper body receives only 45 reps, compared to the 60 reps (100 if you include GHR) that the lower body receives. The Texas method employs the basic progressive overload, where you can simply add 5lbs to your top set on Friday every week. Due to the fact that the overall structure of the program is what it is, and keeping in mind that it is a program designed specifically for early intermediates, this makes perfect sense. Another cool feature of the method is its fatigue management, as the program condenses the more traditional “block periodization” approach into a single week. Instead of spending a few weeks per each category (high volume, recovery, PRs), the Texas method allows you to cram the entire process into a single week. The reason for this is that, since it is made for intermediates, and the logical premise is that intermediates are probably younger, these trainees simply don’t need that much time to adapt to new stimuli – in other words, they can still do it on a weekly basis. Now that we’ve covered that, it’s time to give you a sample routine. Remember that it’s divided into three days, so you would do well to split them between Monday, Wednesday, and Friday.